"Two wongs don't make a white"
To believe that racism is the property of the morally corrupt, rather than the property of liberal democracy itself, is comforting to those who think racism is an individual failing. If racism is reduced to a private act – one where the racist carries the shame, not his or her enabler – then there is no need to consider, let alone admit, what makes calculated acts of racism acceptable. Thus Colin Craig, Jamie Whyte, Steven Gibson and Winston Peters are not seen as products of our impoverished political culture – one where racism is strategy – but merely lone bigots. But the racism of the individual can’t be separated from the society that supports it. When we offer a moral account of racism while ignoring a political analysis of racism we sanction the more insidious form. Racism is part of our ancestral memory and when something is so embedded in the political culture - as racism is - then the discourse is going to reflect it. Thus Colin Craig, Jamie Whyte, Steven Gibson and Winston Peters are more than just morally corrupt individuals; they’re the descendants of an old tradition – political racism. This is where politicians articulate private racism for public consumption. The practice persists because racism is foundational. Our country was built on the theft and exploitation of indigenous land. While New Zealand still wears the scars of settler colonialism, Māori aren’t the only victims of racism in our little settler colony. There is a long and loud history of anti-Asian racism and underhanded anti-Semitism. Racism designed to create the perception that the majority is under ideological and demographic siege. From Jewish bankers to Chinese investors, people of colour are “issues” to win. The history of Māori bashing is well known and the practice itself is not exhausted, but the history of anti-Asian racism and anti-Semitism is less known. Asian peoples generally and the Chinese in particular have always been at the hard edge of New Zealand racism. 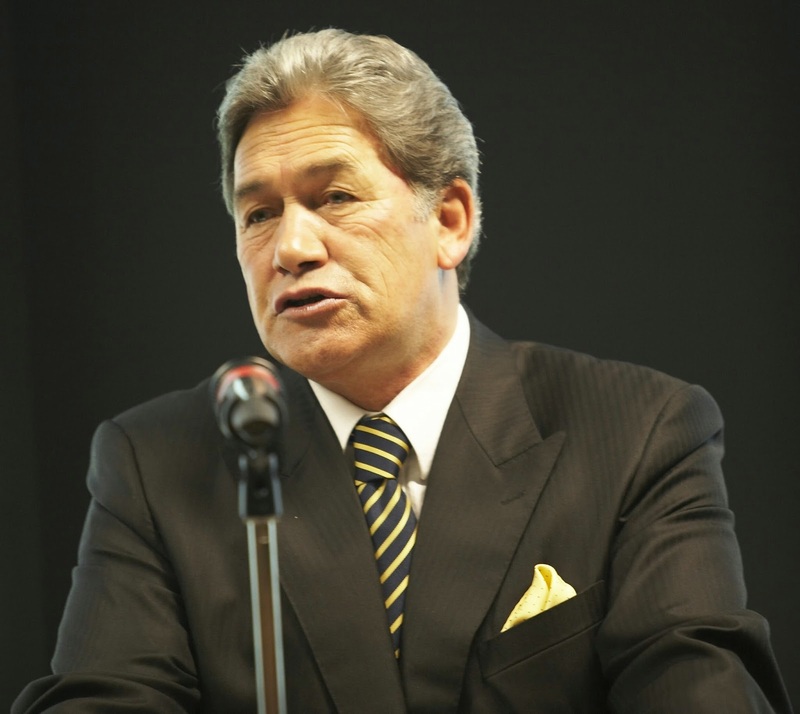 Winston Peters knows as much and is prepared to exploit that history every three years. Political racism is a sort of low-grade fever that flares up every election and puts us – the body politic – at risk. They say "investor" or "foreign buyer" but what they mean is "of colour" with a "funny accent"
Not that this is particularly unusual. The political class seeds and exploits fear of the Asian invasion across the world. Our parochial politicians in the 19th century were familiar with the political benefits of anti-Asian racism and in 1881 Parliament passed the Chinese Immigrants Act. The act imposed a poll tax of 10 pounds on new immigrants from China. In 1896 the tax was increased tenfold and in 1899, in an effort to further restrict “undesirable” Chinese, Parliament imposed an education test on immigrants without British or Irish parentage. When the Old Age Pensions Act was passed in 1898, Asians were excluded (even if they were citizens). All of this happened while we maintained an almost open border policy for migrants from Western Europe and, by the standards of the time, were cultivating the roots of a universal welfare state. It’s this ugly history that Winston Peter’s is channeling. Settler colonies work through replacement. It would seem the unspoken fear is the pattern of replacement will reverse and the next cycle, bound to happen by 2050, will be one of the non-white kind. Winston knows it, the audience fears it. Thus “two Wongs don’t make a white” was not an off the cuff and off colour joke, it was a political tactic. Winston knew it would be reported without context and those for whom it was designed would think that it refers to immigration. Racism, then, not only lives in the hearts of particularly cynical individuals – like Winston - but it lives in the heart of our society – with the voters. Steven Gibson is part of the same grubby tradition. Whether he knew the stigma behind Shylock or not – he must have, why use a notorious Jewish lender to describe another Jewish banker unless one intended to make a racialised slur? – ignorance is no excuse. Although there might be comparatively little organised anti-Semitism in New Zealand –meaning little statutory discrimination – social attitudes are as toxic here as anywhere. Former Premier Julius Vogel, a practising Jew, had to endure regular cracks at his faith while the political cartoonists of the day were not afraid of deploying Jewish stereotypes. The fact that Vogel served as Treasurer was seen as particularly funny (Jewish Bankers!). The echoes with Key are uncanny. From defaced billboard depicting an orthodox Jew to political cartoons where the cartoonist draws, what seems to be, a hook nose. Like Winston, we should not view Gibson as a lone fool, but a product of our political culture. One where racism is an acceptable political strategy and tactic. The same must be said of Colin Craig and Jamie Whyte too. Each is indulging in a sort of ritualistic racism. Racism is a virus looking for host. Essentially formless, but always persistent. Ok Steven Gibson, stop talking now, you're making it worse. "I'm not quite sure what Merchant of Venice is about... a bad deal?" But where to from here? How do we change the political culture? Some suggest that racism is not long for this earth. In other words, we should wait for the racists to just die out. The offensiveness of that suggestion aside, people said this in the 60s too. Yet the thing about racism – like settler colonialism – is that it works through replacement. It’s protean. The leopard really can change its spots. The assumption is that history is linear – from ignorance to enlightenment. It’s true that we’re closer to racial justice than we were, say, a century ago, but here’s the paradox: while we might be more diverse, more tolerant and more committed to racial justice than our ancestors, we’re committed to an ideology that makes racial justice impossible – colorblindness. That is, where the way to solve the “race problem” is to pretend the problems – like inequality or closed borders – aren’t racialised. Thus measures to reduce racial inequality are, according to the colourblind advocates, racist. As one wag put it, “the way to stop discrimination on the basis of race is to stop discriminating on the basis of race”. This is the ideology that Brash, Craig, Whyte and (I’m willing to bet) at least half of the country are committed to. Racism is seen as a matter of legal distinctions, not unfair outcomes. Where many think that if we remove race from, say, legislation then the “race problem” is solved. It’s not. Racism can’t be reduced to mere distinctions in legislation, policy or social settings. If it could be then measures to correct racial inequality - like the Māori Representation Act - are as racist as the process that necessitated them – that is, settler colonialism. Unlike many people of colour – and some movements of the left – just as many young people reject a political analysis of racism. Ours is a moral account of racism. Racism is Bad, thus we must remove race. When one thinks like this it’s then possible to claim that we’ve built a post-racial society. We really haven’t, though. It takes a determined effort in self-deception to think that, say, if we just remove Māori placements in university then, by magic, racism disappears. If we stop talking about race, racism disappears. The reasoning is seductive, but a deception. Racism , as Gary Younge put it, is “discrimination planted by history, nourished by politics and nurtured by economics, in which some groups face endemic disadvantage”. Thus racism is not so morally bad that we should never talk about it, rather it is too important that we can’t afford not to. As another wag put it, “the way to stop discrimination on the basis of race is to speak openly and candidly on the subject of race”. Thus the way to confront the racism of Colin Craig, Jamie Whyte, Steven Gibson and Winston Peters is not to pretend that they are lone wolves feeding off of a dying voter base, the way to confront racism is to take it out of the private domain and put it in public. Pretending race doesn’t exist solves nothing, the solution is where people of colour tackle the spoken and unspoken bigotries. It is where we take the opportunities politicians create and lead the discussion. Don’t let well-meaning liberals or anyone else wish it away - that only creates more seething resentment (on both sides) - we need to establish that, actually: race matters. Let's not stop talking about it.